You can now report violations online! Protect New Hampshire's natural resources - report wildlife law violators! 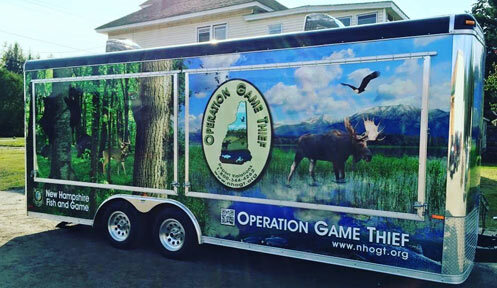 OPERATION GAME THIEF (OGT) is a silent witness, anti-poaching program that encourages the public to report any suspicious activity or knowledge about a poaching violation. The toll-free hotline is available 24 hours a day, seven days a week, 365 days a year to report wildlife violations. POACHING is the illegal take of game or fish, trespassing, littering, theft, or destroying property. Are you aware of a poaching situation? Have you witnessed a wildlife crime? Call Operation Game Thief at 1-800-344-4262.